This client had us add onto an existing setup consisting of a 2512iXL charge controller core and a set of AGMS. 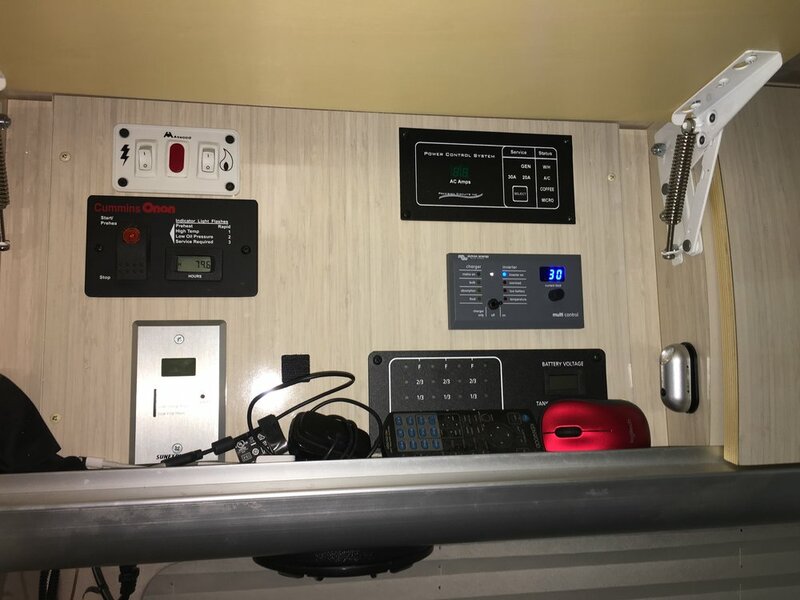 He now has a much more powerful solar charger and a 3000VA inverter capable of running a wide range of loads including a microwave and a coffee maker. The Bluetooth smart dongle allows monitoring of the system to take place wirelessly, with a smart phone.